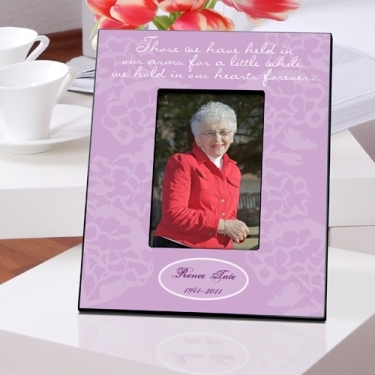 Simply beautiful Memorial Picture Frame in lavender or olive green. A perfect reminder of our loved one's smile! 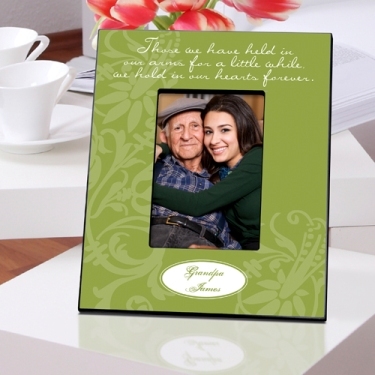 The frame is 8" x 10" and holds a photo sized 4" x 6". The first line can be personalized up to 20 characters, and the second up to 15. Those we have held in our arms for a little while, are held in our hearts forever.